BBC NEWS | UK | Magazine | What defines your religion? Is being a Jew a matter of bloodline or religious practice? The UK's new Supreme Court is debating the subject this week, in a case that could have a wider impact on faith schools, says Tim Whewell. In a draughty school hall in Liverpool, they're holding an "admissions evening". Parents listen anxiously as the headteacher explains what "evidence" they'll require to ensure that their son or daughter can apply for a place. Is Jewishness about nature or nurture? The scene at King David primary is repeated up and down the country, particularly at this time of year as the deadline for applications approaches. And for those trying to get into a faith school like King David, there's a particular headache: do parents have to "prove" an adequate level of religious observance? This week that question will be debated by some of The UK's top legal brains at the highest court in the land, the new UK Supreme Court. 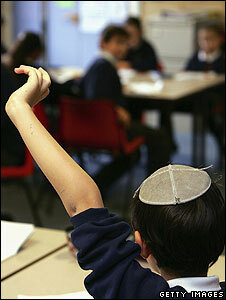 The outcome will directly affect only Jewish schools such as King David. 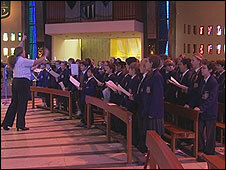 But the government is warning that it may have "wide ramifications" for other faith schools too. And at the heart of the case is the simple question: how do you define faith? Is religion a matter of who you are? What you believe? Or what you do? 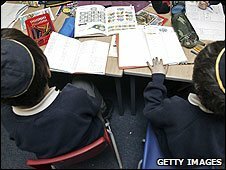 The King David primary and secondary schools, both highly successful and oversubscribed, are the pride of Liverpool's diminishing but vibrant Jewish community. In the religious studies class this month, children were making models - some thatched with sweets - of the flimsy huts that Jews traditionally build as part of the festival of Sukkot. It commemorates the years the Children of Israel spent wandering in the desert, without permanent homes, after the Exodus from Egypt. Some of the children come from observant homes, but some do not. Until now, that didn't matter because, in common with other schools under the religious authority of the Chief Rabbi, they've taken Jewish children as defined by Orthodox Jewish law - the children of Jewish mothers. No test of observance or belief was set. "Judaism differs fundamentally from all other faiths," says Yitzchak Schochet, rabbi of an Orthodox congregration in London. "Regardless of one's observance level, if one is born a Jew it doesn't matter if they keep absolutely nothing. How dare they question our beliefs and our Jewishness? "Having a ham sandwich on the afternoon of Yom Kippur, the fast day, doesn't de facto make you non-Jewish. The Jewish definition is that as far as God is concerned, when you are born of a Jewish mother then you contain a unique Jewish soul, which de facto makes you a Jew. And the only other way of embracing the Jewish faith is by way of conversion." But that definition can't now be used to gain a place at a Jewish school. The Court of Appeal ruled in July that because Jews are also defined as an ethnic group under the Race Relations Act, denying a child admission solely on the basis that their mother isn't Jewish would count as unlawful racial discrimination. It was a victory for the parents who brought the case, whose child was originally denied admission to a Jewish comprehensive in London, the JFS or Jewish free school, because the Chief Rabbi's office questioned his mother's Jewish status. 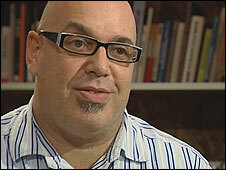 And another parent in a similar position, David Lightman, also feels vindicated. He says: "My wife keeps a kosher Jewish home, we go to synagogue as a family, my daughter teaches in the Hebrew classes. How dare they question our beliefs and our Jewishness?" But now JFS is appealing to the Supreme Court to have that judgment overturned. Rabbi Schochet says: "The law is essentially suggesting from a Jewish perspective that God is a racist, and that doesn't wash."
Some would dispute whether the ruling really libels God. And even within the Jewish community, there are those who say religion can't just be a matter of parentage. At the liberal synagogue in Elstree, north London, Rabbi Pete Tobias says: "I would say the idea that it's God that decrees the status of a child simply on the basis of a child's mother is somehow missing the point of what religion is supposed to be about. To me Judaism is a faith, a series of ideas, a philosophy that is absorbed culturally and educationally." But Jews aren't the only faith group in Britain who can be difficult to define legally. And that's why the government says in its submissions to the Supreme Court that the current ruling, if upheld "potentially affects a significant number of schools". "At least in certain areas," it says, "it is likely that membership of other religions is 'closely related' to particular ethnic origins." Then there's the question of what constitutes "membership" of a religion. For Catholics, for example, baptism is usually the mark of membership and in some Catholic dioceses baptism, regardless of observance, is the main criterion for admission to Catholic schools. John Waszek, headmaster of St Edward's College, a leading Catholic state secondary in Liverpool, says: "For some parents involvement in church is difficult - a single mum will find it harder to be involved in their church rather than a two parent family with two jobs. "Someone who runs a football club - taking those children off the streets - who's to say they are not being a better Catholic that someone who goes to church every day of the week?" But some lawyers say baptism, usually performed when a child is just a few weeks old, isn't proof of the parents' current faith and therefore may be too broad a definition to be legal as a schools admissions criterion. For now, Catholic leaders reject that possibility. The government, after all, says that it's for the faith provider - in this case the Church - to decide the religious rules for admission to its own schools, even if they're state-funded. But the Court of Appeal has now shown that faith providers can only act within certain limits, and it's possible that if the Supreme Court upholds the ruling, other challenges to admissions criteria could follow. Faiths are free to define themselves. They're not free to decide who gets into schools. I'm always confused by how any child can be a member of a religion. Their parents having them dunked in some water when they were a few weeks old, or their mother being allegedly descended from some guy thousands of years ago seem strange criteria for anyone to use. Surely no child can be a member of a religion, in the same way as they can't join a political party or have a credit card, until they're old enough to be able to assess all the options and make a decision for themselves? Under British law Jews and Sikhs are considered a race and are covered by racial discrimination law, unlike Christians, Muslims etc. As far as the Law Lords are concerned being Jewish is a matter of birth not faith. Its worth highlighting that Hitler considered Jews a race too and even if your family hadn't been near a synagogue in generations you would still be exterminated. God most certainly is not a racist. God does not discriminate for against any particular group of people. To claim that one race or another are God's chosen people is intellectually, spiritually morally bankrupt. Isn't it about time we had a serious look at 'faith schools' and their place in our society? The separation of children based on what their parents believe leads to nothing but ignorant, segregated kids harbouring their differences rather than celebrating their similarities. Shouldn't children be free to grow up and make their own mind up about issues to do with faith? Some of us (me included) would say that a child has no religion. There is no such thing as a Christian or Jewish or Muslim child, only a child of Christian or Jewish or Muslim parents. Where would this leave faith schools? Nowhere, I'd be happy to see them all turned over to state control and absorbed into the rest of the school structure tomorrow, their doors open to all children no matter what faith their parents were. Employers are quite rightly not able to discriminate on the basis of religious belief. Why should a school be able to do so: especially one that takes state funding? The fact that faith-based schools (especially Church of England schools) are oversubscribed is itself interesting: even non-practising parents see benefit in a faith-based organisation. Why? Because a basis of faith - whatever faith - entails a value set, a discipline and a high standard that is otherwise lacking in our society. And there is always the hope that a child attending such a school might make up his or her own mind to become a practising member of that faith - and that would make the world a better place.